Natasha Khoyi's legal practice is focused the representation of management in labor and employment law disputes. 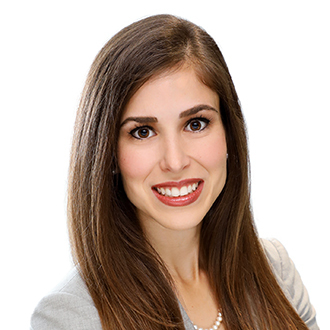 Natasha is a litigation associate attorney in Ford Harrison’s Tampa office, where her practice focuses on a broad spectrum of issues faced by employers, including non-compete litigation, trade secret litigation, discrimination matters, and other disputes. An experienced trial attorney, Natasha has served as second chair at multiple trials involving business disputes. Natasha also has appellate experience, most recently securing a favorable opinion in a pro bono case on behalf of the Guardian ad Litem Program in a child custody battle. In addition to her litigation experience, Natasha has handled a wide variety of transactional matters for clients, including drafting company policies and employment and service agreements. This experience helps her provide an additional perspective when helping clients make prophylactic and business savvy decisions before and during litigation. Prior to joining FordHarrison, Natasha was an associate in a full-service Tampa area law firm, where she represented clients in the real estate, healthcare, and restaurant industries, among others. While earning her J.D. from the University of Miami School of Law, Natasha served as the Spring Competition Vice President of the Charles C. Papy, Jr. Moot Court Board and competed in the American Bar Association National Advanced Appellate Advocacy Competition, where her team won the regional championship and was a quarter-finalist in the national competition. She also served as the Articles Editor of the International and Comparative Law Review and was a member of the University of Miami Trial Team. Natasha is very involved in the community, serving as the Articles Coordinator in the Hillsborough County Bar Association Bar Leadership Institute, the Pro Bono Coordinator in the William Reece Smith, Jr. American Inn of Court, and regularly performing a hundred hours or more of pro bono work each year. To this end, Natasha frequently works with Project H.E.L.P (Homeless Experience Legal Protection), providing legal services to homeless and indigent individuals in the community. Represented physician group in dispute relating to partnership distributions owed to withdrawing partners, sitting as second chair at trial and obtaining a judgement in favor of the group. Represented real estate investor in code violation hearings regarding minimum standards for commercial property, successfully resulting in a favorable settlement. Represented winery in hearing involving unemployment benefits disputes, obtaining a decision in favor of the winery. Represented a pro bono client in hearing involving exemption to garnishment, obtaining a judgment in favor of the client. Represented the Guardian ad Litem Program in a pro bono appeal, advocating for the best interests of the child and convincing the court to affirm the judgment in favor of the program.